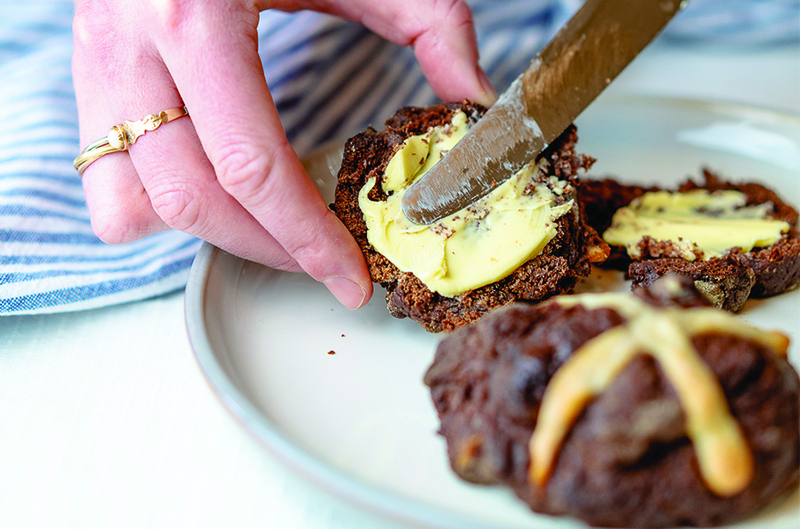 Have fun in the kitchen this Easter and make delicious Chocolate Sourdough Hot Cross Buns with your Mad Millie Sourdough Kit. The perfect recipe to make with your kids. We have no doubt the whole family with love them! Create a "well" in the middle and pour the softened butter and warm water into it. Mix to create a soft, sticky dough. Cover the bowl loosely with cling film or a damp muslin cloth and let rise in a warm place (above 20°C/60°F) for 24 hours. Tip the dough on a well-floured surface. With wet hands fold the outside edges inwards and make into a ball shape. Line a bowl with baking paper and place dough into it for a second rise of 2 hours in a warm place. Line a tray with baking paper and measure out handful size balls of dough onto it. In a bowl combine the flour and water for the cross, mix to form a thick paste. 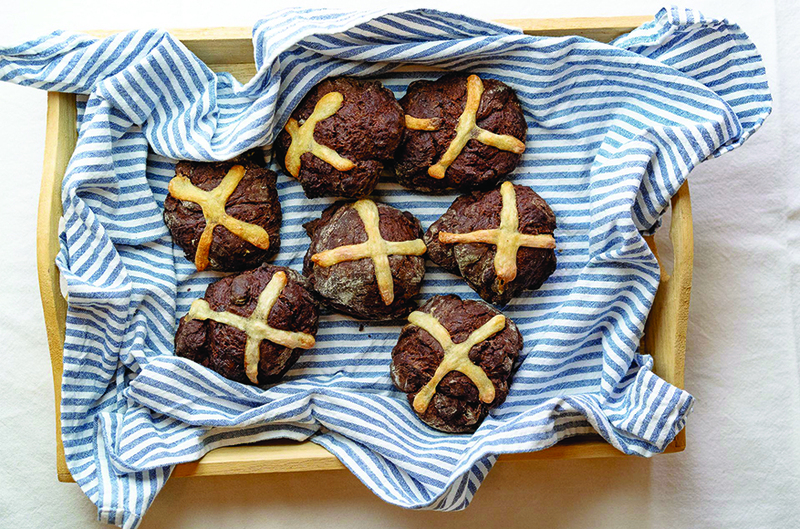 Pipe the cross on top of the dough balls, if you don't have a piping bag use a zip-lock bag and cut off one corner once the paste is in the bag.